If you’re over 30, you probably walked to school, played on the monkeybars, learned to high-dive at the public pool. If you’re younger, it’s unlikely you did any of these things. Has the world become that much more dangerous? Statistically, not at all. But our society has created pervasive fears around letting kids be independent and take risks — and the consequences for our kids are serious. Gever Tulley, the co-author of “50 Dangerous Things You Should Let Your Kids Do,” takes on these media-inflated fears — which he calls “dangerism” — with surprising statistics and insights into the nature of fear and risk. Much of modern life is based upon the assumption that happiness and well-being come from economic prosperity. Many – politicians and media and citizens alike – seem to assume that the main goal of government is to ensure that the economy is forever moving forward. It is now overwhelmingly clear however, says Nic Marks in this essay, that the blind pursuit of economic growth has created a whole set of social and environmental issues that are rapidly undermining the potential happiness and well-being of current and future generations. He convincingly posits and argues that it’s time to imagine a different future, one where the desired outcome of policies and governance is the quality of people’s experience of life. The founder of the Centre for Well-Being, an independent think tank at the new economics foundation (nep) in London, Marks has written here a powerful story about how, by measuring the wrong things, such as GDP, we have headed in the wrong direction, and offers strong suggestions on how nations and people can return to a shared common purpose: nurturing well-being. Though it does suggest a radical new approach to policymaking and a set of specific and positive actions, this is not a traditional political manifesto. Marks’ argument is steeped in rigorous statistical methods to measure happiness, analyzing and interpreting the evidence so that it can be applied to such policy fields as education, sustainable development, healthcare, and economics. Traditional educators, classrooms, and brick-and-mortar schools are no longer necessary to access information. Instead, things like blogs and wikis, as well as remote collaborations and an emphasis on ‘critical thinking’ skills are the coins of the realm in this new kingdom. Yet the national dialogue on education reform focuses on using technology to update the traditional education model, failing to reassess the fundamental design on which it is built. In ‘Why School?,’ educator, author, parent and blogger Will Richardson challenges traditional thinking about education — questioning whether it still holds value in its current form. How can schools adjust to this new age? Or students? Or parents? In this provocative read, Richardson provides an in-depth look at how connected educators are beginning to change their classroom practice. Ultimately, ‘Why School?’ serves as a starting point for the important conversations around real school reforms that must ensue, offering a bold plan for rethinking how we teach our kids, and the consequences if we don’t. How can something as simple as a smile be so deceptively complex? That’s the mystery and magic explored in Smile: The Astonishing Powers of a Simple Act. From the broad beaming grin of a toddler to the oily smirk of a used car salesman, smiles convey an enormous range of emotions, from joyously happy to nervous or sad. Grins also have radically varied meanings in different cultures, as the author learned during his worldwide trips to explore the complicated, but ubiquitous, act of smiling. There have been at least 25 prototype humans. We are but one more model, and there is no evidence evolution has stopped. So unless you think Rush Limbaugh and Howard Stern are the be all and end all of creation, and it just does not get any better, then one has to ask what is next? Juan Enriquez and Steve Gullans, two of the world’s most eminent science authors, researchers, and entrepreneurs, answer this by taking you into a world where humans increasingly shape their environment, their own selves, and other species. It is a world where our bodies harbor 100 times more microbial cells than human cells, a place where a gene cocktail may allow many more to climb an 8,000 meter peak without oxygen, and where, given the right drug, one could have a 77 percent chance of becoming a centenarian. By the end you will see a broad, and sometimes scary, map of life science driven change. Not just our bodies will be altered but our core religious, government, and social structures as humankind makes the transition to a new species, a Homo evolutis, which directly and deliberately controls its own evolution and that of many other species. A vegetarian diet can markedly improve your health and fitness, but what if you still love munching into a juicy burger every now and again? Graham Hill has a powerful and simple solution: become a weekday vegetarian. Eat no meat from Monday through Friday. During the weekends, you’re back to being a carnivore. Hill, who founded the eco-blog treehugger.com, has expanded the popular short talk he gave at TED 2010 with a life-changing digital book that explores the personal, economic, and societal benefits of moving meat out of your diet. Don’t fear that vegetarian dishes all taste like sawdust. Hill includes great-tasting veggie recipes to get you started. Ten years ago, educator Sugata Mitra and his colleagues cracked open a hole in a wall bordering an urban slum in New Delhi, installed a networked PC, and left it there for the local children to freely explore. What they quickly saw in their ‘Hole in the Wall’ experiment was that kids from one of the most desperately poor areas of the world could, without instruction, quickly learn how the PC operated. The children also freely collaborated with each other, exploring the world of high-tech online connectivity with ease. It was the dawning of Mitra’s introduction to self-organized learning, and it would shape the next decade of his research. This important update on Mitra’s groundbreaking work (which provided the inspiration for the Oscar-winning film ‘Slumdog Millionaire’) offers new research and ideas that show how self-directed learning can make kids smarter and more creative. He also provides step-by-step instruction on how to integrate it into any classroom. It’s an important lesson that could reshape our schools and reinvigorate our educational system. With a foreword by Nicholas Negroponte, founder of both MIT’s Media Lab and the One Laptop per Child Association. Technology futurists Ayesha and Parag Khanna (whom Esquire magazine calls one of the 75 people who will influence the 21st century) declare that we are rapidly moving from a point of co-existence with technology to a phase of co-evolution with it. In the Hybrid Age, technology is ubiquitous (with trillions of sensors coating our environment), intelligent (devices communicating with each other as well as with us), and social (encouraging us to develop emotional relationships with it). Technology no longer just processes our instruction; it has its own agency, and we respond to it as much as it responds to us. What this means for societies and individuals, as well as communities and nations, is truly world changing. How will we respond and adapt? Philippe Petit startled the world when he walked on a taut cable between the soaring twin towers of the World Trade Center in New York City in 1974. But even a death-defying high-wire artist has to start somewhere. In ‘Cheating the Impossible: Ideas and Recipes from a Rebellious High-Wire Artist,’ Petit takes you on a highly personal, entertaining and exciting journey from his first card trick at age 6 to his now-legendary walk through the skies of lower Manhattan, offering inspiring advice guaranteed to make your own life’s balancing act go a little smoother. Rivers of defrosting ice are flowing off polar glaciers and surging into the sea. As the flow becomes a deluge, the livelihoods — and very lives — of tens of millions of people living near coastlines will soon be in jeopardy. Dan Grossman – veteran science journalist and regular contributor to public radio, and National Geographic blogger – joined a colorful team of climate researchers in the Australian outback studying how high and how quickly the oceans might rise. In ‘Deep Water,’ Grossman brings us along on this quirky crew’s adventures, while at the same time filling us in on the intriguing science of sea-level research. We witness discoveries of physical evidence, and learn about the theories of leading scientists who believe we must drastically reduce the tonnage of carbon dioxide we spew into the air. Instead of asking whether the Web is making us stupid, Howard Rheingold turns that question around and asks how designing and using digital media mindfully could make us smarter. What if humans could build tools that leverage our ability to think, communicate, and cooperate? We invented social learning, speech, writing, alphabets, printing, computers, and the Internet, which means we should be systematically directing the evolution of intellectual augmentation. ‘Mind Amplifier: Can Our Digital Tools Make Us Smarter?’ examines the origins of digital mind-extending tools, and then lays out the foundations for their future. Rheingold proposes an applied, interdisciplinary science of mind amplification. He also unveils a new protocol for developing techno-cognitive-social technologies that embrace empathy, mindfulness, and compassion — elements lacking from existing digital mind-tools. Larklight is a book for an young readers. 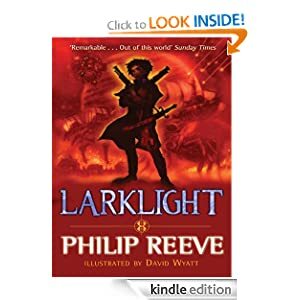 It was written by DAVID WYATT (Author), Philip Reeve (Author), David Wyatt (Illustrator). Arthur (Art) Mumby and his irritating sister Myrtle live with their father in the huge and rambling house, Larklight, travelling through space on a remote orbit far beyond the Moon. One ordinary sort of morning they receive a correspondence informing them that a gentleman is on his way to visit, a Mr Webster. Visitors to Larklight are rare if not unique, and a frenzy of preparation ensues. But it is entirely the wrong sort of preparation, as they discover when their guest arrives, and a Dreadful and Terrifying (and Marvellous) adventure begins. It takes them to the furthest reaches of Known Space, where they must battle the evil First Ones in a desperate attempt to save each other – and the Universe. Recounted through the eyes of Art himself, Larklight is sumptuously designed and illustrated throughout. Philip Reeve was born and grew up in Brighton. He worked in a bookshop there and on various other projects before starting a career as an illustrator. Although he has been writing stories since he was very young, Mortal Engines was the first to be published – and to incredible critical acclaim. It was shortlisted for The Whitbread Children’s Book Award and was awarded the GOLD Nestle Smarties Book Prize as well as being named The Blue Peter Book of the Year 2003. Philip lives in Devon with this wife and son. Illustrated throughout by David Wyatt, who has worked on many beautiful covers for authors including Terry Pratchett, Philip Pullman, Diana Wynne-Jones, Alan Garner and JRR Tolkien. He lives in an ancient house in a graveyard in Devon, and is a keen Lutist, cyclist, and wanderer of the moors. Manic Math is a game for kids. Today only it is free. Top n.1 – Educational Game in Portugal (in Apple App Store). Listed in several other App Stores. Amazing app to improve your math skills. This game is recommended as a winning choice for parents and a educational/fun activity for children. The game logic is incredible simple! Just combine two numbers and one math operation to match the proposed objective. Manic Math is one fantastic application designed to keep your mind in shape. 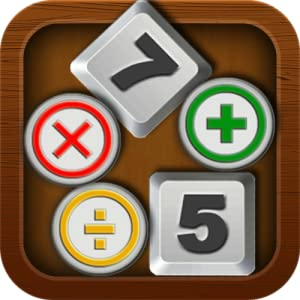 This healthy addictive game boost your mental arithmetic ability as well as your concentration, focus and memory. Performance graphs and statistics (global and per arithmetic operation). Useful for detecting which operations and combinations of numbers need more practice. Boost your mental arithmetic ability.